Our Summer 2018 farm open house took place on Sunday, July 22nd. We welcomed old friends and new to a buffet lunch and farm tour. Spinners, knitters and needlepointers enjoyed each other’s company and shared stories and ‘how-to’s. In case you missed it- look for your invite spring next year or, if we don’t have your contact info., please send it along to us. Our farm and fiber day is a wonderful way to get introduced to these attractive and special animals. Everyone who has attended our annual Fiber Day and Farm Open House has had a fabulous, informative time. They meet our animals, often quite intimately, and experience our alpaca fiber and sheep fleeces first hand. We have somewhere close to 100 lbs of fleece after our spring shearing! 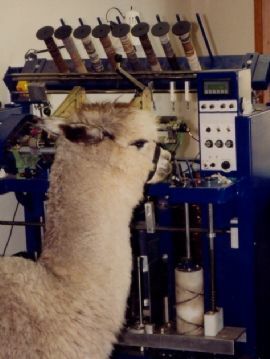 Many questions are asked and answered about alpacas as farm animals and pets; their care and temperament, and much is learned about alpaca fiber, from shearing to finished product. 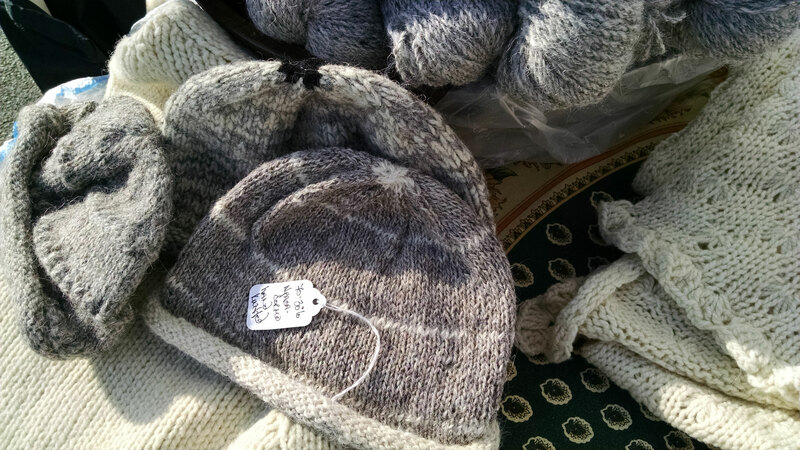 Local spinners, knitters and weavers come to purchase fiber or yarn and share their knowledge of blending, natural dyeing, fiber care and processing. Selecting an outstanding fleece from an animal you’ve met and ordering custom yarn or roving is always a hoot. Enjoy a buffet lunch served on our screened veranda. Good company and new friends makes the day enjoyable for all. 2018 Fall and Early Winter Market Schedule Announced. See You There! Soft, luxurious, farm-raised fleeces made into hand-crafted, beautifully finished alpaca shawls, scarves, socks, fingerless mitts and boot warmers for gifts, the holidays or that special occasion. 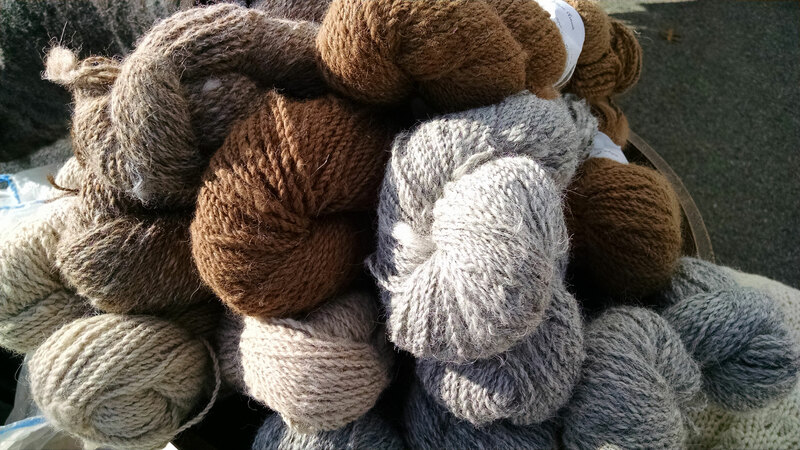 We work with Starry Nights Mill in Oregon to provide you with the finest spun yarn and roving. Winner of the “2003 AOBA Mill of the Year” award at the National Fiber Conference. Please contact us at arnow@optonline.net or 914-764-4778 for scheduling and directions.